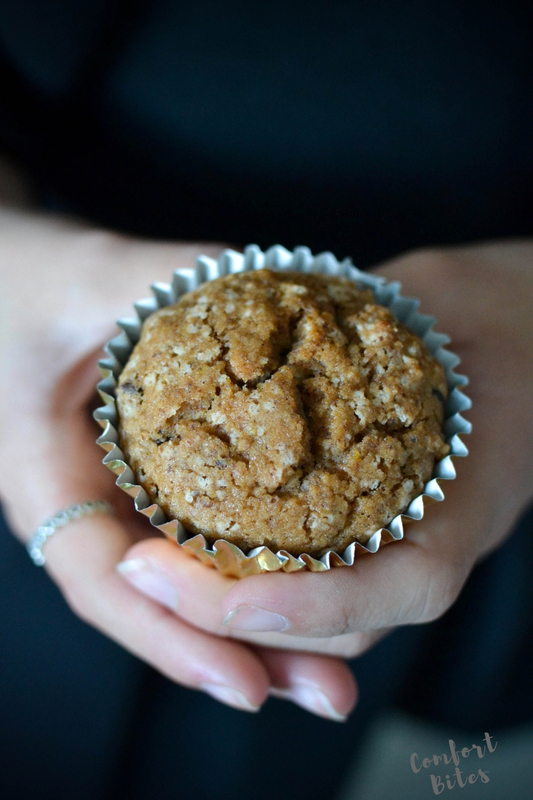 I try out two of the gluten free baking mixes from Creative Nature - a chocolate chip muffin and a banana bread. Have a read to see how I got on. This post contains some affiliate links. This means that if you decide to click on a link and make a purchase, I may receive, at no extra cost to you, a small commission that helps me keep the blog running. Thank you for your support. Have you ever heard of Creative Nature? They make gluten free, low sugar baking mixes and also some snack bars. When I was asked if I'd like to give them a try, with two hungry gluten-free kiddos here, well obviously I said yes. I like Creative Nature. They cater for allergies - the mixes I tried were free of dairy, gluten, nuts and soya and were organic - and although they do use sugar, they use the unrefined type, rather than refined white sugar. Yes, it's all sugar at the end of the day, but they're not claiming to be sugar free, after all. I guess the less refined, the better. I watch my sugar really carefully, so as not to flare up my scalp psoriasis - but my kids get treats every now and then and I'd rather they're gluten free. The fact that these are also free of nuts is a bonus, because my youngest can take them to her nut-free school. The first ones we baked were the chocolate chip muffins. They were easy enough to mix together, pour into cases and bake - and there's a vegan option on the back of the packet too, if you need it. They weren't dark like I expected them to be, but were light, a little chewy, and not too sweet at all. The girls took one in their packed lunch the next day, as a snack. I loved that I only needed to shop for three things - butter, an egg and vanilla - because buying different gluten free flours can be expensive when you don't eat this kind of thing very often, as well as filling up your cupboards. The only thing I wished was different was the quantity - the mix made 6 muffins - we all wished, especially for the price, that they'd made the full dozen. The banana bread was next. My daughters are really fussy over gluten free bakes - scrutinising the ingredients and casting anything aside that tastes 'powdery', 'grainy' or like coconut (yeah, they hate coconut which is a problem for a 50% paleo family, but there you go). 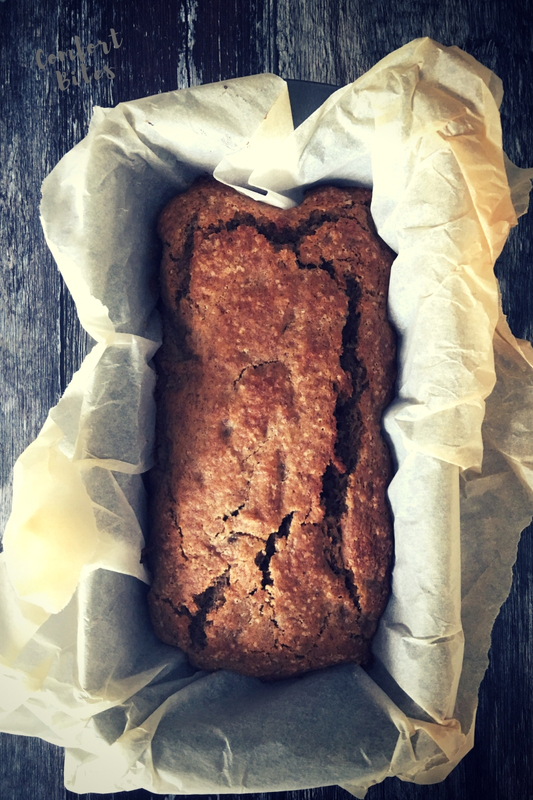 This banana bread was chewy, dense but not cloying. It tasted of bananas, and had a real homely feeling about it - you could totally pass this off as your very own from-scratch creation if you wanted to. It was gorgeous served in thick, warm slices with a cup of tea after dinner. I went a bit overboard with the cinnamon, adding just under a teaspoonful - I love cinnamon - and it was wonderful. My 13 year old and I ended up fighting over the last few pieces. We enjoyed both the mixes, but this one was our favourite. It's worth mentioning that as well as the bread and muffin mixes, they do also make energy/snack bars in flavours like Salted Caramel, Cacao Orange and Carrot Cake - have a read of the ingredients though, as these can contain some soy, just in case you're looking out for that. And they do superfood powders too. Go check them out on their website. Overall, I like these Creative Nature mixes - as I mentioned, I'd totally buy the banana bread one again - in bulk, probably - to put an end to those nut-free school packed lunch panics when all I've made are some almond flour paleo muffins and my youngest daughter can't take them. 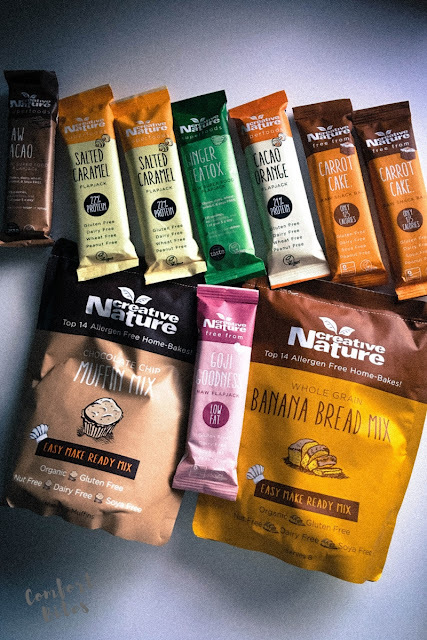 Find out more about Creative Nature's range online, or look out for them in your nearest supermarket or Amazon - I saw them in my Sainsbury's the other day! Thanks so much for your review, We are so glad your children can now take nut free products into school as a sufferer from nut allergies it makes such a different to me. The Banana Bread is my fave too the vegan way is always tastier i find :) Also for Christmas a nice cranberry sauce is perfect to go with it. Sounds delicious! Thanks for the tip about the cranberry sauce, and I'll definitely be making it again soon. Thanks again.